The saddest time of vacation is the last night. A week of sun, boating, family, and good times must end. It is as if you can hear the loons playing “Taps” in the distance. All the food has been eaten, and the gear is packed away. Just one more sleep, and it will be time to leave the cabin by the lake. We will say adieu to the lovely water and goodbye to the glorious days. We will return next year to enjoy your peace pace and your beautiful display of the natural world. Posted in Words of Wisdom and tagged 20 Lines Weekly Photo Challenge, cabin by the lake, Challenge, glorious days, Grandmother Musings, nature, outdoors, Partings, Paw Paw Lake, paw paw lake michigan, postaday, the Great Outdoors, vacation. Bookmark the permalink. I used to get sad on the last day of vacation because I knew I was going back to the rat race! Lol. That was before I retired. Beautiful picture grandmother! Cool! Beautiful photo. I just liked your post over at 20 Lines. Thanks for liking mine! Beautiful photo. I’d be sad, too! Thank You for the follow, following back. Nice and interesting blog You’ve here. Ahh, the smell of a fresh-water lake. 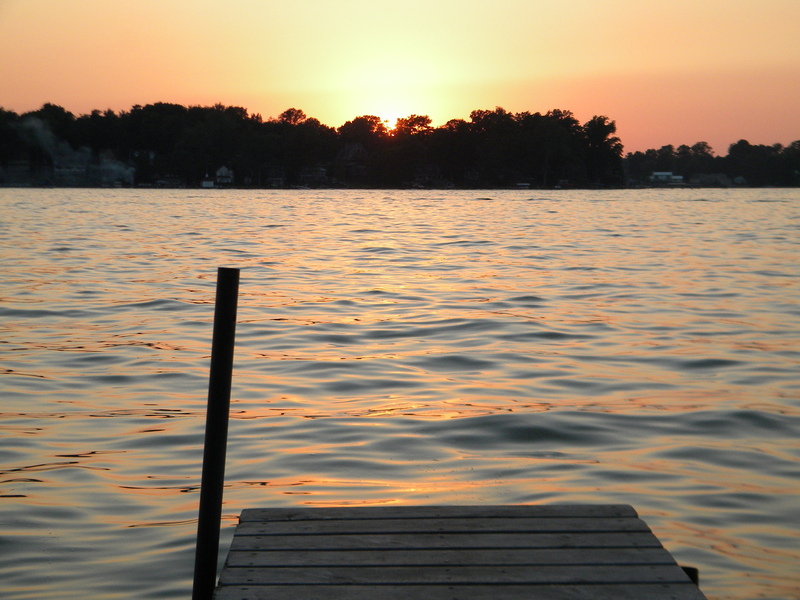 When I was a child I would lay on the dock in the early morning with my hand dangling in the water. The minnows would come and explore my finger tips. That is a lovely photo and a beautifully worded sentiment, Jamie. I think we can all agree with you. I hope it was wonderful!